Ray Still, principal oboist of the Chicago Symphony Orchestra for forty years, was praised by the Chicago Tribune for his “distinctively rich, mellow, singing tone”. He joins Itzhak Perlman, Pinchas Zukerman and Lynn Harrell in this programme of oboe quartets, with Mozart as the centrepiece. 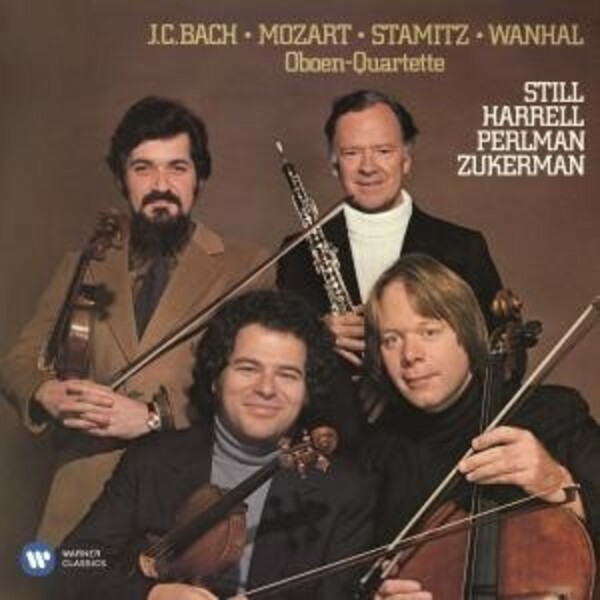 The trio sonata, an essentially Baroque genre, is perhaps unexpected territory for players such as Perlman and Pinchas Zukerman, but they make it their own in collaboration with cellist Timothy Eddy, celebrated in chamber music, and, on the harpsichord, Perlman’s regular pianist Samuel Sanders.